If you’re looking for a fun and affordable place for your child’s next birthday party, look no further than the Bellingham Sportsplex. 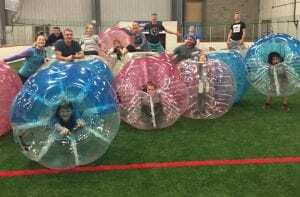 With the addition of new party booking manager Alisha Bhatia, the Sportsplex has a variety of party options sure to please both children and parents. Your party host will arrange the setup and the cleanup. Photo courtesy: Bellingham Sportsplex. Interested in ice skating? There are several options. Basic packages are available during weekday and weekend public skating times, including admission and skate rentals for a dozen guests. Parties cost $135, and are available on weekdays (Mondays and Wednesdays from 3:00 to 4:45 p.m.) and weekends (Saturdays from 11:00 a.m. to 1:00 p.m. and Sundays from 1:00 p.m. to 3:00 p.m.). 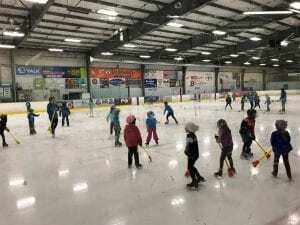 A private broomball party is also available for $255, which includes an hour of private ice time and two hours in a heated party room, complete with cake and decorations. 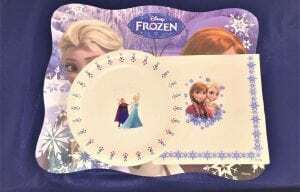 For those seeking the ultimate ice party, parents can invite Elsa and Anna from Disney’s Frozen. The 45-minute entertainment package includes skating, a meet-and-greet, story time, a sing-along, a royal coronation, pictures, and a singing of happy birthday. Skating birthday parties are fun for everyone. Photo courtesy: Bellingham Sportsplex. If skating isn’t your thing, consider a party on the Sportsplex indoor soccer fields. Packages include admission for 15 guests, an hour of on-field time and two hours of party table usage. Small field parties are $110, while large field get-togethers cost $140. Bubbleball parties are also a popular soccer field option. These packages include battle balls for 8 to 10 children to roll around in. The cost is $225 for a small field and $295 for a big field. Bouncy castle party packages are also extremely popular, providing two hours of castle use with optional party table and field usage, with space for 15 or more guests. Plus the Sportsplex’s castle is new and bigger than ever! For extra excitement, invite Spiderman! He’ll provide superhero training, games, photos and the presentation of a special hero award. Other guest options include classic Disney princesses: Rapunzel, Sleeping Beauty, Cinderella, Belle from Beauty and the Beast, and Ariel from The Little Mermaid. Birthday party food options include Little Caesars pizzas, soft drinks, and birthday cakes from Haggen. Decoration options come in a variety of themes, table cloths, plates and napkins. All party packages, unless otherwise noted, include cake and décor. Partygoers are welcome to bring in their own food if they wish. Sportsplex parties even include the services of a party host. They’ll oversee setup and cleanup so you don’t have to. There’s simply no better way to celebrate. Party slots are limited and generally go quickly. If you’re interested in booking a party, don’t delay! Fill out a party request form and email plexparties@gmail.com to book your space today.